I aim to raise £2610 to fundraise for my advanced mental health placement in Sri Lanka this summer. This is an amazing opportunity that I have been granted by SLV Global. My name is Hazel Chihuri and I am a (BA) psychology undergraduate currently in my second year, at the University of Essex and my passion for Global mental health has landed me in the position to make a difference. I am jumping into this whole new experience with everything I got and I couldn't be more excited. 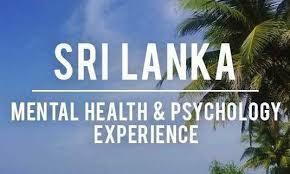 I will be spending two great months Volunteering in Sri Lanka, getting over 40 hours of some real hands on experience in the mental health field. I will be working on six different projects throughout my placement, all with the purpose to promote positive mental health as well as boosting confidence. This placement will give me exposure to local mental health professionals and Psychiatric facilities which will allow me collect skills that I will be able to utilise whilst on placement and even when I return home. Being able to volunteer in Sri Lanka gives me the unique opportunity to gain insight into other avenues other than the traditional Western options. Other than studying psychology, I have vast experience working with children, the elderly and mental health patients. Working in these environments with such vulnerable groups has grown my passion for all things concerning mental health. I am a strong advocate for mental health positivity and raising awareness to all mental health issues in our society. I recognise the changing attitudes towards mental health are heading in the more positive direction but I can't stress how far away we still are to rid the world of mental health stigma. I would like to do less talking and more action, starting by gaining all the experience I can via this placement in order to make a change. By donating to my project you will be allowing me to fund this placement without me having to work crazy hours and save whilst also balancing my degree and preparing for exams. During my stay in Sri Lanka I will be hosted by a lovely family who will provide me with food and accommodation on weekdays. My transport to and from work will be provided by SLV however I will need to sort out my own accommodation and food on the weekends. Any extra funds raised will therefore go to help pay for my weekend accommodation and travel insurance costing £80. Everyone who donates will be rewarded with some cool things, what ever amount you give. Check them out on my rewards section. You don't need to give money to help me succeed! Please share this project with anyone you think would support me – on Twitter or Facebook, by email. In fact, share it with everyone you know, the more people who know about it, the more likely I am to make this work out brilliantly. Thank you so much for your donation.You will receive personalised thank you email attached with photos and updates. Thank you so much for your donation. You will receive a souvenir from Sri Lanka and a personalised thank you email attached with photos and updates from my trip. Thank you so much for your donation. You will receive a handwritten thank you letter from me with printed pictures of my trip. Thank you so much for your donation, I will personally call you to thank you and tell you all about my time in Sri Lanka. You will also receive a handwritten letter with a postcard and photos of my trip. Thank you so much for your donation. You will receive all of the above rewards and a personalised video message from me to you.